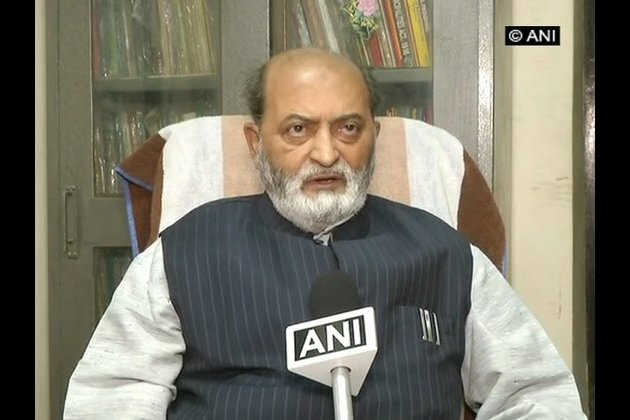 Lucknow (Uttar Pradesh) [India], Oct 16, (ANI): All India Muslim Personal Law Board's (AIMPLB) secretary and legal counsel Zafaryab Jilani on Tuesday accused the Bharatiya Janata Party (BJP) of exaggerating the Aligarh Muslim University (AMU) controversy. His statement comes days after cases of sedition were slapped against three Kashmiri students of AMU for allegedly raising anti-national slogans and organising a prayer meet for terrorist Manan Bashir Wani, an aluminous of the university who was killed in an encounter with the security forces on October 11 in Jammu and Kashmir's Kupwara district. Speaking to ANI, Jilani said, "Just because they were taking out Namaz-e-Janaja, they can't be considered anti-national. Maybe they were friends with Manan Wani. He was a student here (AMU). It can be an offence and for that police has registered a case, but it shouldn't be viewed as if all Kashmiri students are against the nation." He sharpened his attack against the BJP saying, "When it comes to Aligarh Muslim University, BJP makes a mountain out of a molehill. Students should be seen as students. If they make a mistake, it should be viewed as mistake by a student and that is what the university is doing." Earlier on Monday, former chief minister of Jammu and Kashmir Mehbooba Mufti asked central government to withdraw the sedition cases against the students. "Pushing youth to the wall will be counterproductive. Centre must intervene in withdrawing cases against students and AMU authorities must revoke their suspension. The respective State governments outside J-K should be sensitive to the situation and prevent further alienation," she tweeted. All India Majlis-e-Ittehadul Muslimeen (AIMIM) president Asaduddin Owaisi also urged Union Home Minister Rajnath Singh and AMU Vice Chancellor Tariq Mansoor to resolve the matter. While addressing the media in Hyderabad, Owaisi said: "It is very unfortunate that students want to leave midway. AMU Vice Chancellor, teachers, Union Home Minister Rajnath Singh and Ministry of Home Affairs officials should resolve this issue. I hope this will be taken seriously."